Description : The Irish Hospice Foundation Camino Walk will take place from 9-15 September 2018. Walkers will take on the final 112km of the French Way, a stunning journey through the beautiful Galician landscape of forests, farmlands and rustic villages, before reaching the destination of Camino de Santiago. 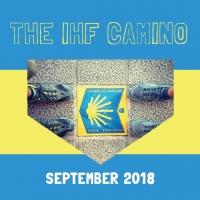 By stepping out on the Camino participants are embarking on a personal challenge but also supporting people nationwide who are facing death or bereavement. Our vision is for no one to face these challenging times without the care and support they need.